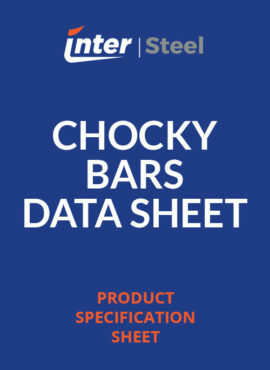 Inter-Steel stock a range of chocky bars for use in areas experiencing impact and abrasion. 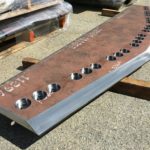 All of the chocky bars supplied are notched for easy forming and cutting. 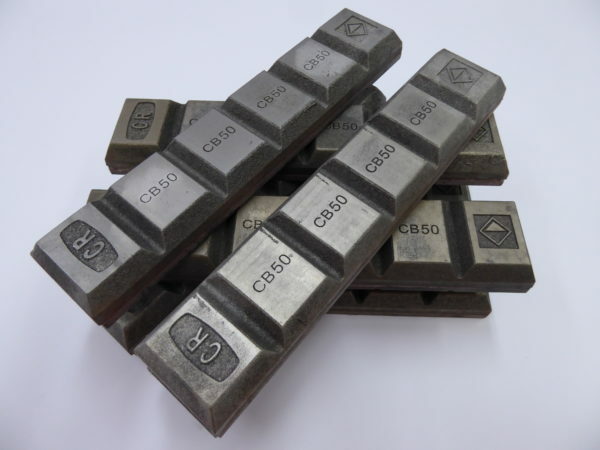 The Chrome Moly white iron castings are braised to a mild steel backing plate for easy welding on site. 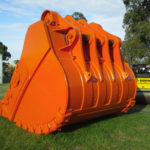 These buttons are available in a range of sizes and are excellent for protecting areas of plant and equipment experiencing localised wear and tear. The Chrome Moly white iron is also braised to a mild steel backing plate for easy welding. 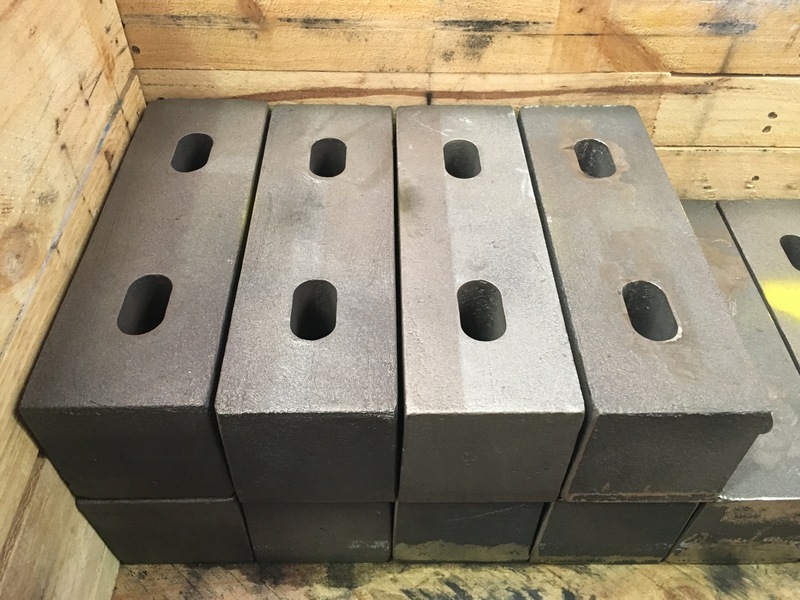 Inter-Steel carry a wide range of cast white iron block and plate materials. The Chrome Moly blocks and plates are popular in replacing hard faced and clad plate areas. 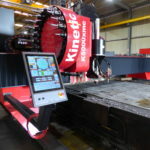 They can be fitted by studding, bolting systems such as Fish tail bolts or by welding to the mild steel back. These blocks and plates can last up to 6 times the normal life of traditional wear plate systems. 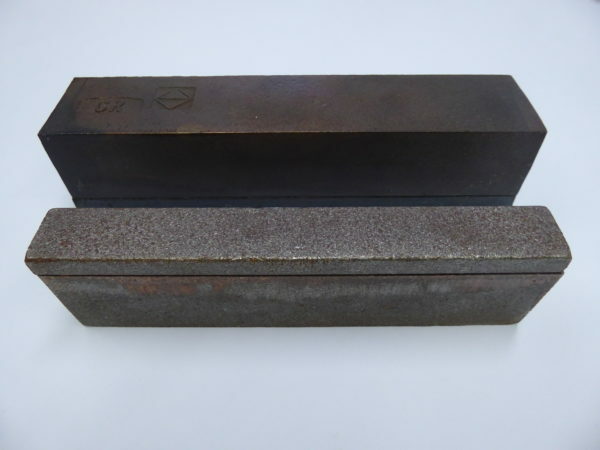 Ni-Hard is a white iron casting that is alloyed with Nickel & Chromium to provide significant resistance to impact and abrasion. 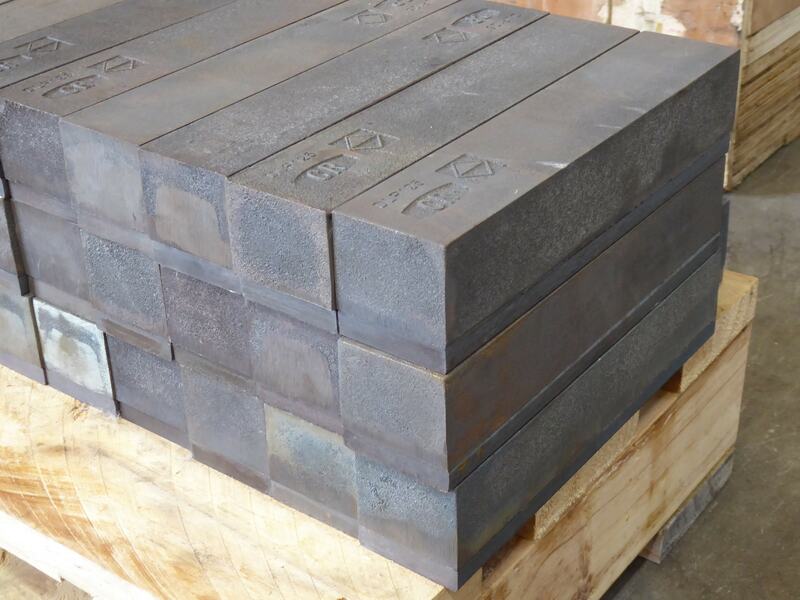 Inter-Steel can supply a range of Ni-Hard products to suit environments requiring additional protection from wear and tear. From your engineering drawings, Inter-Steel can supply a range of custom sizes and shapes.